Dave Crosby founded Crosby Automotive on June 16th, 1986 with His Wife Mary. Like any business, at first things were a bit slow, but soon enough Dave’s commitment to quality work paid off and through word of mouth the business began to grow. Over 33 years later Crosby Automotive has grown quite a bit, but their principles have remained the same. 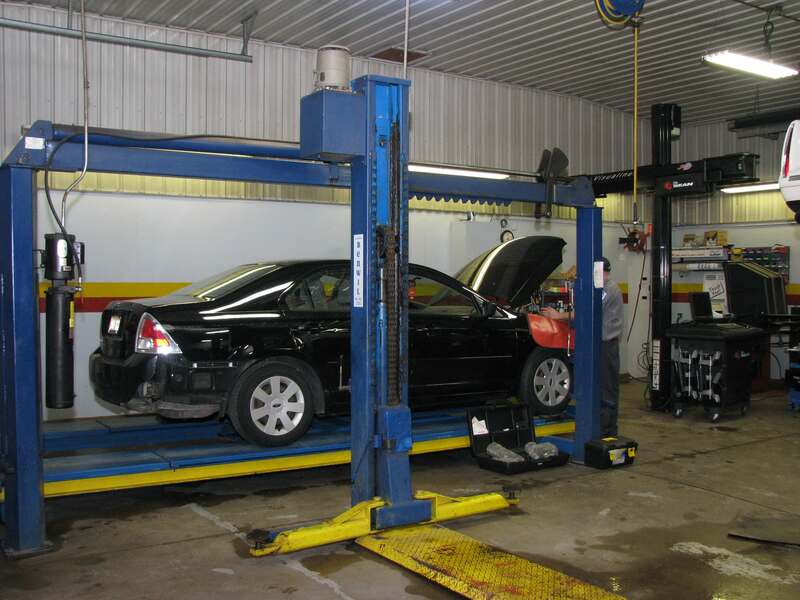 Crosby Automotive strives to provide the highest quality automotive repair in the Elkhorn and Delavan area. In addition, safety is always the number one concern when repairing your car or truck. You can rest assured that any repair done at Crosby Automotive will be done correctly and to the specifications of the manufacturer. When your family gets in the car after having a repair done, it’s important to be able to trust that everything was done right. With Crosby Automotive, we guarantee it. At Crosby Automotive we use numerous state of the art machines to accurately troubleshoot and repair your vehicle. Some shops skimp on the “big machines” because they are too expensive; we believe that being able to provide the best possible service, the first time, is well worth the price tag of the equipment we use. When you bring your car or truck into our shop you can trust that your vehicle is going to be diagnosed and fixed correctly. Our mechanics are all professionally trained and ASE certified. You won’t find anyone working on your vehicle that isn’t trained to do so. Some shops let their brother or cousin come in and “help out” with some of the smaller jobs. We don’t believe in that. 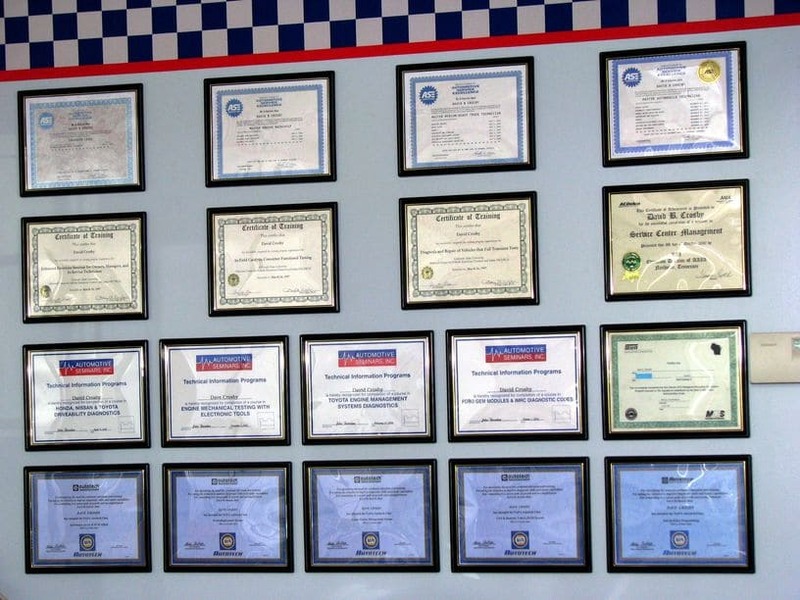 At Crosby Automotive, the only people that touch vehicles are highly trained and knowledgeable technicians. 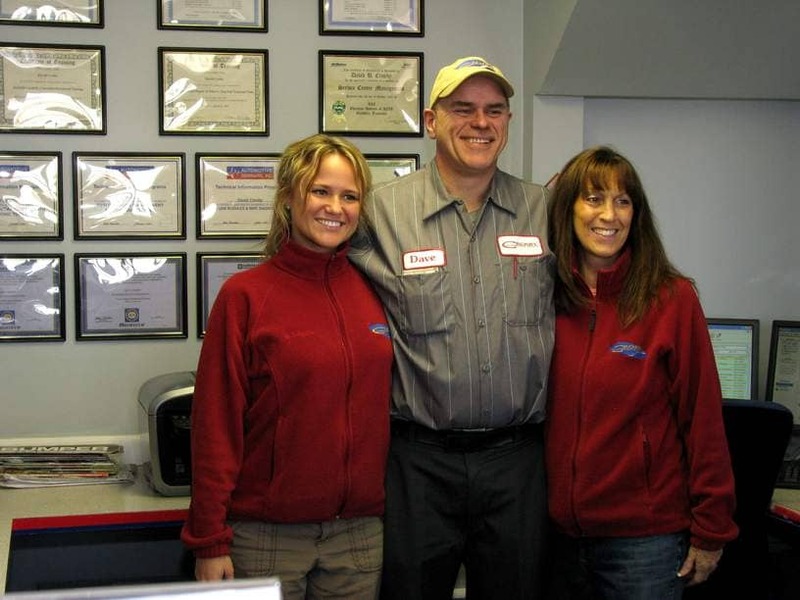 Our top two technicians have over 60 years of combined experience and are both Master ASE Certified in multiple areas. My car started making some horrible noises and it needed to be fixed quickly. After doing some google searching of area auto mechanics I decided to go with Crosby' s. Robin is amazing! She walked me through everything that needed to be fixed and the awesome guys in the shop had my car fixed in a few days. Simply put this shop is wonderful to work with and trustworthy. Highly recommended! I have taken my Volkswagen and BMW to Crosby Automotive Repair several times and they always do a fantastic job. Everyone at the shop is very friendly and honest. These people are real car enthusiasts and you can tell they all love what they do. They are very quick and always notify you before performing any repairs needed. The owner Dave is a great guy and has a strong passion for cars and auto racing. I highly recommend their shop for any level of maintenance or repairs. Finding an honest and reliable mechanic can be a daunting task. Who do you trust? What if they try to rip you off? When you bring your car to Crosby automotive you can rest assured that you are bringing your car to an honest and reliable automotive repair shop. A family owned and operated establishment, we believe in telling our customers the truth and letting them make an informed decision. After all, it’s your money. Whether you live in Elkhorn, Delavan, Williams Bay, Lake Geneva, or anywhere else in Walworth or Jefferson County, let Crosby Automotive be your go-to automotive shop. Trust us, you won’t be disappointed.